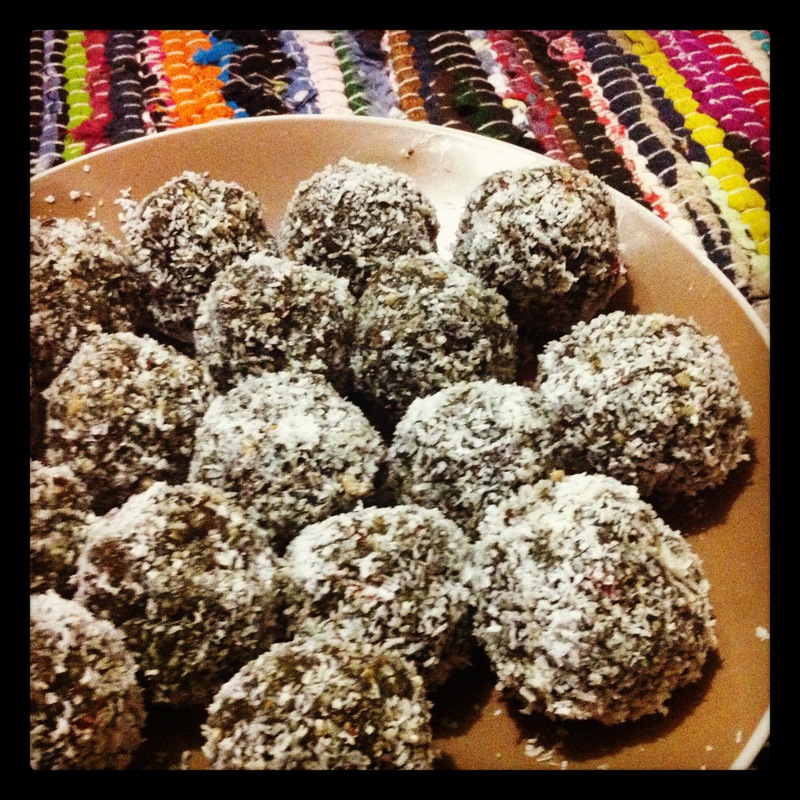 Cacao & Coconut Protein Balls! Snack food is something most of us struggle with. If carrot sticks and celery just don’t do it for you and everything else you turn too is packed full of sugar and artificial nasties I suggest you give this recipe a go. It’s sugar free, dairy free, gluten free and super delicious! Feel free to mix up the ingredients and get creative with different nuts, seeds and fruits. In a food processor combine nuts until fine and crumbly. Add puffed rice and coconut and combine on a low speed. Next add dates, cacao powder, chia seeds, spirulina, honey and tahini and blend until combined. Roll into balls then roll in coconut. Place onto a plate and set in fridge or freezer for 1 hour. Sounds lovely Ash. Can you tell me what is Cacao powder? Hi Tanya, Cacao Powder is chocolate in raw form, before fat, sugar, and other “sweeteners” are added. It’s also super good for you. Packed full of antioxidants!